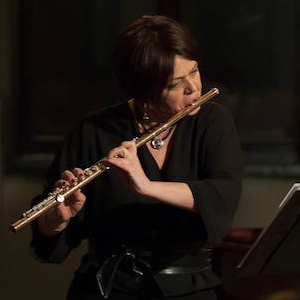 Flutist Leone Buyse relinquished her principal positions with the Boston Symphony and Boston Pops in 1993 to pursue a more active solo and teaching career after 22 years as an orchestral musician. A former member of the San Francisco Symphony and the Rochester Philharmonic Orchestra, she has appeared as soloist on numerous occasions with those orchestras and also with the Boston Symphony, the Boston Pops, the Utah Symphony, the Xalapa Symphony, Orquesta Sinfónia Nacional (Mexico City) and l'Orchestre de la Suisse Romande. She has performed with the Boston Symphony Chamber Players throughout Europe and Japan, with the Tokyo, Juilliard, Brentano, and Muir String Quartets, and in recital with Jessye Norman and Yo-Yo Ma. The only American prizewinner in the 1969 Geneva International Flute Competition, Ms. Buyse has presented recitals and master classes across the United States and in Canada, Mexico, Central and South America, Europe, Norway, Japan, New Zealand, and Australia. She has performed and taught at numerous major North American festivals, including Aspen, Sarasota, Music Academy of the West, Norfolk, and Domaine Forget. Her solo recordings have appeared on the Crystal, Boston Records, Albany, and C.R.I. labels. Ms. Buyse is the Mullen Professor of Flute at Rice University in Houston, Texas, and has also taught at the University of Michigan, the New England Conservatory, Boston University, the Tanglewood Music Center, and as a visiting professor at the Eastman School of Music. Her former students hold positions at major universities and in many major orchestras. Also an accomplished pianist, Ms. Buyse served for two years as a collaborative pianist at Jean-Pierre Rampal's summer master classes in Nice, France. An active member of the National Flute Association, she received the organization’s Lifetime Achievement Award for outstanding contributions to the flute community worldwide at the 38th annual convention in Anaheim, California in August 2010. She maintains a web presence at www.leonebuyse.com and may be heard playing a Haynes silver flute and a Powell piccolo. Flutist and conductor Jean Ferrandis enjoys an international career that takes him throughout Europe, Asia, and North America. He has presented recitals, performed chamber music, and appeared as soloist with orchestra in such prestigious concert halls as the Salle Pleyel and Théâtre des Champs Elysées in Paris, Alice Tully Hall in New York, the Taipei Arts Center, Wigmore Hall in London, La Fenice in Venice, Hamarikyu Hall in Tokyo, the Vigado in Budapest, the Palau de la Musica Catalana in Barcelona, and the Moscow Tchaikovsky Conservatory, under such conductors as Leonard Bernstein, Tibor Varga, Laurent Petitgirard, and Yoram David. Mr. Ferrandis has been invited to numerous festivals, including the Lanaudière in Canada, Switzerland's Sion Festival, the Budapest Spring Festival, the Midem Festival in Cannes, and the Berlioz Festival in Lyon. Chamber music collaborators have included Gidon Kremer, Ivry Gitlis, Jean-Philippe Collard, and Emile Naoumoff. His appearances at the 2006, 2009, 2011, and 2014 National Flute Association conventions in Pittsburgh, New York, Charlotte, and Chicago included gala headliner concerts and master classes. Jean Ferrandis currently teaches at l’Ecole Normale in Paris and at California State University-Fullerton. Among his highly acclaimed recordings are the J.S. Bach Trio Sonatas, BWV 525-530, with pianist Léla Katsarava and the chamber works of Yuko Uebayashi, both released on the EA (Europ & Art) label. He is the co-founder and conductor of Egédé, a Paris-based chamber orchestra. In great demand for his creative and insightful master classes, he has been invited to many of the finest music schools in the United States, including the Juilliard School, the Eastman School of Music, Rice University’s Shepherd School of Music, and Indiana University. Ann Bobo joined the Boston Conservatory at Berklee in 2004 and is a flute instructor. Bobo has been one of the busiest freelance flutists in Greater Boston for many years. She performs regularly with the Boston Pops Esplanade Orchestra, Boston Musica Viva, the Pro Arte Chamber Orchestra, and the Springfield Symphony. She has performed with nearly all of the major organizations in the New England region, most notably the Boston Symphony Orchestra, Boston Lyric Opera, Boston Chamber Music Society, Rhode Island Philharmonic, Emmanuel Music, and Boston Modern Orchestra Project. Bobo is an avid chamber musician and has been included on the rosters of the Rockport Chamber Music Festival, Celebrity Series of Boston, Winsor Music, Carolina Chamber Music Festival, and Radius Ensemble. Originally from Long Island, New York, Bobo came to Boston to study with former Boston Symphony flutist Fenwick Smith at New England Conservatory. While in school, and for some years after, she was a member of the award-winning Taiyo Wind Quintet, an ensemble that earned awards from the prestigious Coleman and Carmel chamber music societies (1993), and she had the privilege of working with such renowned composers as György Ligeti, Luciano Berio, John Harbison, and John Heiss. She spent two years as a fellow at the Tanglewood Music Center (1995, 1997) and toured throughout the United States and Asia with the Boston Pops Esplanade Orchestra. Bobo has performed numerous times on WGBH radio programs and has recorded for RCA Victor, Arsis, and New World Records. In addition to Boston Conservatory, Bobo teaches at the Rivers School Conservatory in Weston, Massachusetts, and maintains a private studio. When not performing (or practicing), Bobo can be found running around with her husband and two young daughters. Called “enchanting” by the Boston Globe, flutist Sarah Brady is sought after across the country as a soloist, chamber musician, and master teacher. An avid promoter of new music she has premiered and recorded new music from many of today’s top composers. Her solo, chamber and over 50 orchestral recordings can be heard on the Albany, Naxos, Oxingale, Cantaloupe and BMOP/Sound music labels. As a leading interpreter of contemporary music, she was invited to read and record new music commissioned by Yo Yo Ma for his Silk Road Project at Tanglewood. Principal flute with the Boston Modern Orchestra Project and Odyssey Opera, Sarah often performs with the Boston Symphony Orchestra, Boston Pops, Boston Ballet, and Boston Lyric Opera. As a chamber musician she has been described as “clairvoyantly sensitive” (New Music Connoisseur), and has collaborated with the Fromm Players at Harvard, the Firebird Ensemble, the Radius Ensemble, Boston Musica Viva, The Talea Ensemble, Callithumpian Consort, Sound Icon, NotaRiotous and the Cortona Collective. A native of New York, Linda Toote is the Principal Flutist of the Boston Lyric Opera. A frequent performer with the Boston Symphony and the Boston Pops and Esplanade Orchestras, she has also appeared as soloist with these groups on several occasions. She has held Principal Flute positions with the Tampa, Atlanta and Milwaukee Symphony Orchestras, and the Santa Fe and Lake George Opera Orchestras. Ongoing invitations from the Baltimore, Detroit and St. Louis Symphonies have included recording and touring with these orchestras. She has joined the Boston Symphony Orchestra for multiple tours of European festivals. Ms. Toote is the full time flute instructor at Boston University, Director of Woodwind Chamber Music and serves as the Woodwind Coordinator. She is a faculty member at the ARIA International Academy during the summer months and has been an invited guest recitalist and clinician at the Northern California Flute Camp. She has coached chamber music and masterclasses at the Tanglewood Music Center and serves as Director of the Flute Workshop of Boston University's Tanglewood Institute. She has recently been invited to join the faculty of the Brevard Music Center. Ms. Toote has collaborated with the Muir Quartet in a residency of the composer Joan Tower at Boston University and has performed as soloist with both the Boston University Wind Ensemble and with the Boston University Chamber Orchestra. In addition to serving as the Program Chair and a Board Member for the National Flute Association, she has made convention appearances as soloist and clinician at events in Dallas, Washington D.C., Albuquerque, Chicago, Philadelphia, Anaheim and Charlotte. She has premiered two concertos for both flute and piccolo written by her Boston University colleague Martin Amlin at conventions held in Las Vegas in 2013 and in San Diego in 2016. She is a frequent contributor to both the Flutist Quarterly and Flute Talk Magazine, on whose editorial board she also serves. Her recordings include many symphonic works with the Atlanta Symphony on the Telarc label and works of many genres with the Boston Symphony and Boston Pops Orchestras. A graduate of the Mannes College of Music, where she studied with John Wion, Ms. Toote was also a Master of Music student of Thomas Nyfenger at Yale University. Ms. Toote performs on a Braun piccolo and a Brannen silver flute with a Louis Lot headjoint dating from the nineteenth century. 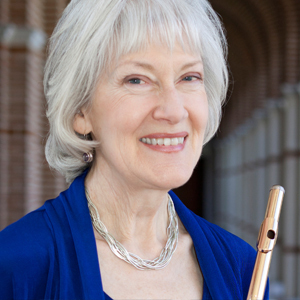 Wendy Rolfe is one of the United States’ leading performers on historical and modern flutes and Professor in the Woodwind Department at the Berklee College of Music. With pianist Deborah DeWolf Emery, she released "Images of Eve", featuring music written by women from across the globe, following "Images of Brazil” in 2006. She has toured the USA with a Solo Recitalist Grant from the National Endowment for the Arts. Ms Rolfe was a Fulbright Program Senior Specialist, in residence at the Universidad de los Hemisferios in Quito, Ecuador. Ms Rolfe performs, records and tours with the Handel and Haydn Society, Boston Baroque, New York’s Concert Royal, New York Collegium, Toronto’s Tafelmusik Baroque Orchestra, Houston's Mercury, and holds the Piccolo chair in the Cape Symphony Orchestra. She was a Tanglewood Fellow, and has also performed at the Fromm, Waterloo, Monadnock, and Buzzards Bay Music Festivals, and the Boston Early Music and Connecticut Early Music Festivals. She performed and taught at international festivals in Brazil, Peru, San Juan, Puerto Rico, and Finland. This week, she will return as guest artist and clinician at the “Perla del Pacifico Festival” in Guayaquil, Ecuador, and has been a guest artist at the Festival en el Centro del Mundo in Quito, Ecuador for over ten years. She has also recorded for Disney and for Ken Burns for PBS. Ms. Rolfe earned the D.M.A. and M.M. from the Manhattan School of Music with Harvey Sollberger, where she focused on Contemporary and avant-garde techniques and repertoire, and also performed with the legendary Group for Contemporary Music. She earned the B.M. from the Oberlin Conservatory with Robert Willoughby. In addition, she studied with the legendary Marcel Moyse, with Lois Schaefer of the Boston Symphony Orchestra, and Janice Smith of the St. Louis Symphony. She has parformed in masterclasses with Jean-Pierre Rampal and Barthold Kuijken. She has served on the Boards of Directors of the National Flute Association, the Pappoutsakis Competition, and the Greater Boston Flute Association. Ms Rolfe is also Vice-President of Part-Time Faculty for the Berklee Faculty Union. For more than 20 years, Dr. Lea Pearson has been saving musicians’ careers by helping them eliminate pain and recover their ability to play with joy & ease. An international author and speaker, Dr. Lea is one of the country’s leading Body Mapping Specialists. She is a sought-after trainer and speaker and has presented at more than 40 universities, military bases, conferences and conventions worldwide. Playing in pain through much of her 40-year career as an orchestral performer and college teacher has uniquely positioned Dr. Lea to understand the struggles of injured musicians, to provide support for recovery, and to offer the specific strategies necessary to sustain a lifelong career in music. She once took an anatomy dissection class just to see an actual diaphragm muscle - worth the whole course! Ilona is a diverse artist and strong leader with her own voice. She holds both a Diploma in jazz/contemporary flute performance from Berklee College of Music, and also a Master of Music degree in classical flute performance from the Latvian Academy of Music. For many years Ilona was a member and later the president of the Baltic American Society of New England in Boston, MA, where she managed and produced many successful concerts. Ilona served as a panelist for the National Endowment for the Arts. She is an educator with more then 20 years of experience. In addition to Ilona's CD “On The Bridge” and CD “Amber Flute Quartet”, her latest CD “Nothing But Illusion”, showcases her jazz flute style. Joining Ilona on flute, alto flute, piano and vocals are: Billy Hart, drums; Greg Hopkins, trumpet; Vardan Ovsepian, piano; Akili Jamal Haynes, bass; and Don Hunerberg, sound producer. The Willow Flute Ensemble is proud to celebrate its 20th season in 2016-2017! The Willow Flute Ensemble is a 6-member group of musicians, specializing in all flutes from the tiny, high piccolo down to the deep-toned bass flute. When all four types of the flute family are played together, the result is a rich sound like no other. Willow specializes in music from cultures around the world, expanding the styles of music available to flutes. Their recent CD, World Winds, features music from Venezuela, Romania, Russia, and elsewhere. WFE performs European and American classical repertoire as well, both traditional and newly-composed. Other recent projects from the Willow Flute Ensemble include commissioning new compositions; premiering new works; organizing concerts for more than 40 flutes (the popular “Mega-Flute” concerts); and frequent performances in concert halls, churches, libraries and community events throughout Massachusetts and beyond. Selected performances from the past few seasons include Waltham’s “3rd Sundays @ 3” chamber music series; the Winchester Community Music School Fundraiser for Japan Earthquake Relief; Arlington’s Menotomy Concert Series; concerts at libraries in Amherst, NH and Quincy, MA; and two headlining nights at Harvard Square’s venerable Club Passim, which is widely-respected as a focal point of the national folk music scene. The Willow Flute Ensemble has published two CDs, available at CDBaby. Whether it’s a seaside art gallery, a children’s concert, or an invited performance at the National Flute Association Annual Convention, audiences rave about the variety of styles, the energy, the flexibility of sound, and just plain fun of listening to those unusual flute sounds. Jonathon Landell, born 1946, after graduating from Littleton Mass. High School 1964 and private study with Phillip Kaplan (BSO), earned a Bachelor of Music in Applied Flute at the New England Conservatory with James Pappoutsakis (BSO) in 1968. He worked as an apprentice at the Powell Flute Company during and after college, and built the first Landell Flute with the Cooper/Bennett scale in 1972, which was very well received by area flutists. After returning to Powell for a second term of training as a ‘Stringer’, he moved to Arlington, Vermont, where he met and married Marcie Parmly, and then moved to Huntington, VT to be closer to her family. As the business grew and their first child arrived, they built a home in Vergennes and moved the workshop to Bristol, VT where the company expanded to include training courses for fine flute making and repair as the Vermont Guild of Flute Making. When the family began to outgrow their first home, the Landells sold their property and built additional space at the Parmlyhomestead, and then moved everything to Richmond in 1995. Still living and working in Richmond, he has trained over 200 students from 20+ countries and completed 185 flutes and 700+ head joints in silver, gold and titanium. Currently he is specializing in custom fitting head joints to flutists using a unique ‘Array’ of 16 different but closely related head joints to give the best alignment of size and geometry to suit the physical and artistic demands of each player. He also doing custom repair work and restorations to vintage flutes, bringing the skills and tools of a master flute maker to hand made instruments by any maker. He is officially certified for installation of Straubinger Pads, Schmidt Pads, and Muramatsu Pads. A native of Massachusetts, Allison Parramore is the Second Flutist of the Cayuga Chamber Orchestra and Principal Flutist of Boston's Phoenix Orchestra. She has performed with the Detroit Symphony Orchestra, the Midland-Odessa Symphony and Chorale, the New Bedford Symphony Orchestra, Juventas New Music Ensemble, and Symphony Nova. She is a founding member of Hathor Winds, a wind quintet who was quarter-finalists in the 2015 and 2016 Fischoff National Chamber Music Competition, semi-finalists in the 2015 Astral Artists National Auditions, and won the Judges’ Special Recognition Award at the 2015 Plowman Chamber Music Competition. Ms. Parramore’s recent awards include first prize in the 35th Annual James Pappoutsakis Flute Competition, which resulted in her solo debut in Boston’s Jordan Hall, and also first prize of the 2016 Boston Woodwind Society Doriot Dwyer Competition. Ms. Parramore has performed on the Festival of Contemporary Music at the Tanglewood Music Center, the Texas Music Festival, and she was the teaching assistant at the Brevard Music Center. She also performed and guest taught at the 2015 Boston University Tanglewood Institute. Ms. Parramore is the flute instructor at Natick Public Schools and Walpole High School. Katy Wherry is a flutist whose passion for varying genres of music has provided her with opportunities to collaborate with outstanding musicians and give performances around the globe. Katy has studied with distinguished flute players such as Sir James Galway, Brook Ferguson, Marina Piccinini, and recently received her Masters degree in Flute Performance from the University of Colorado at Boulder under Christina Jennings. In 2017 Katy was awarded the Galway Rising Star Award at the Galway Flute Festival in Weggis, SwitzerlandI. She was the winner of a new Haynes head joint at the 2014 Galway Flute Festival. In 2016 she was the winner of the Marina Piccinini International Masterclass “Most Improved” award. In 2010, she was a winner in the University of Denver’s solo honors competition and also won first prize in the Lakewood Symphony Sister Cities Concerto Competition. Katy has experience performing with multiple symphony orchestras, including the Colorado Symphony Orchestra, the award winning Lamont Symphony Orchestra, the University of Colorado Wind Symphony and String Orchestra, and others. Katy's passion for teaching has helped her to maintain a studio full of talented flutists, ranging in age from 8 years to 70 years. Katy is the founder of Etude of the Week, an online community focusing on artistic growth and support. Recent awards include First Prize Atlanta Flute Club Young Artist Competition, First Prize Alexander and Buono International Flute Competition, First Prize Longy School of Music Concerto Competition, First Prize Music Teacher’s National Association Woodwind Competition, Second Prize New York Flute Club Competition, Second Prize National Flute Association Piccolo Artist Competition and Semi-finalist in the Concert Artist Guild International Competition. As First Prize winner of the 33rd Annual James Pappoutsakis Memorial Flute Competition, he was presented in a solo recital at Boston’s Jordan Hall. He has been a finalist for positions with the Knoxville Symphony Orchestra, Milwaukee Symphony Orchestra, Houston Symphony, San Diego Symphony, and the Virginia Symphony Orchestra. As a recitalist, Mr. Wible has presented solo concerts at the Yamaha Piano Salon, Carnegie Mellon University’s Kresge Auditorium, the Boston Public Library’s Rabb Auditorium, Merkin Hall at Kaufman Music Center, Memorial Church at Harvard University, Engelman Recital Hall at Baruch Performing Arts Center, and Seully Hall at the Boston Conservatory at Berklee. He has been a guest artist at the Atlanta Flute Club’s annual Flute Fair and a performer at the National Flute Association Conventions held in Nashville, TN; San Diego, CA; Las Vegas, NV; Pittsburgh, PA; and Anaheim, CA. Thomas J. Wible is currently a member of The Orchestra Now, and innovative professional orchestral training academy in New York, performing regularly at Carnegie Hall, The Metropolitan Museum of Art, Alice Tully Hall, Jazz at Lincoln Center and the Richard B. Fisher Center for the Performing Arts. He holds a Master of Music degree from the Longy School of Music of Bard College, Artist Diploma from Boston University’s College of Fine Arts, Graduate Diploma from the Boston Conservatory, and Bachelor of Music degree from the New England Conservatory of Music. His principal teachers include Renee Krimsier, Geralyn Coticone, Robert Willoughby, Bernard Goldberg, and Wendy Webb Kumer. 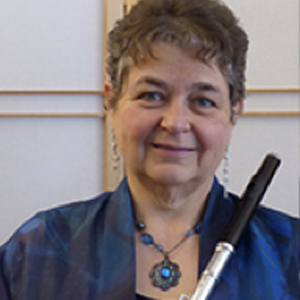 Eileen Yarrison has taught flute courses and has been an orchestra mentor at Gordon College since 2008. She also serves on the faculty of the Indian Hill School of Music and maintains a thriving private studio in Beverly, Massachusetts. Dr. Yarrison has been teaching flute for nearly 30 years. Highlights of her teaching career include standing in for each of her teachers at her three collegiate alma maters while they went on sabbatical leaves, 15 years teaching and conducting at the Summer Youth Music School of UNH, and making a “standing-room only” pedagogical presentation at the 1996 National Flute Association convention. She has performed in the flute sections of the Omaha and Lincoln Symphony Orchestras of Nebraska; the Altoona Symphony, Centre Country Chamber Orchestra, and Music at Penn’s Woods Festival Orchestras of Pennsylvania; and other ensembles. Since 1997, Dr. Yarrison has been the conductor of the Nashua (New Hampshire) Flute Choir, which performs around New England during its yearly concert season. She has led this ensemble of professional and semi-professional flutists in several world premieres, two commissions, and three CD recording projects, including Points of View and A Falls House Christmas. The New England Flute Orchestra, formerly the Nashua Flute Choir, travels the New England region to perform at churches, retirement communities, and libraries, presenting classic compositions from our music collection, and bringing new favorites to delight audiences of all ages. A performance by the New England Flute Orchestra is not only an exciting opportunity to hear great music played by an ensemble of excellent musicians — it's an education about the flute family, the composers, and the many facets of the music being played. The sound of a flute choir, now often referred to as a flute orchestra, is far more than your childhood memories of a small silver instrument in the front row of the band. You'll "meet the family" of flutes, from the sparking high notes of the piccolo and E-flat flute, and the silvery sound of the C flute, to the beautifully deep sound of the "heavy metal" section — alto flute, bass flute, and the giant contrabass flute. Our players are able to bring intricate counterpoint to life with facility and grace, and surround the room with a warm sonority. The members of the ensemble come from across Massachusetts and New Hampshire each Sunday evening to plan and prepare exciting programs for all kinds of audiences. They are professionals in a wide variety of fields: teaching, music, medicine, the computer industry, ministry, physical therapy, and more- all united by their passion for playing the flute. Our conductor, Dr. Eileen Yarrison, an educator for more than 30 years, engages the audience by sharing histories, fun facts, and anecdotes which allow the listener to feel more "in tune" with the music.